Vice President Emmerson Mnangagwa has admitted that he was poisoned, saying he survived because it was not yet God's time. 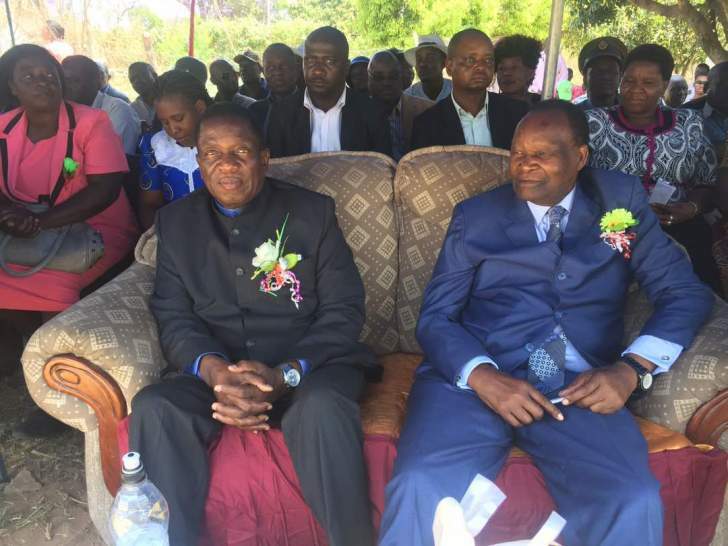 While he is on record of having clearly stated he never consumed any ice cream from the Gushungo Dairy, Mnangagwa revisited his sickness story during a memorial service for the late national heroine, Shuvai Mahofa where he told the gathering he indeed survived poisoning. Mnangagwa missed Mahofa's burial in August as he was in South Africa receiving treatment following the sickness. The Vice President noted what happened to Mahofa in 2015 in Victoria Falls is the same fate that transpired on him in Gwanda but he survived because God's time was still on his side. "I was not around when she passed away but what happened to her in 2015 in Victoria Falls is what also happened to me in Gwanda. So on the 12th of August, I was taken to hospital. I was taken from Gwanda to Gweru and I can't remember what followed. The following Wednesday when I regained consciousness, that is when I learnt on the passing on of Mahofa," said Mnangagwa. He added that he is on a recovery path and jokingly teased the audience saying his days are still far off. He ended his speech by saying he will pass on Masvingo`s gratitude to the President on conferring the national heroine status to Mahofa.